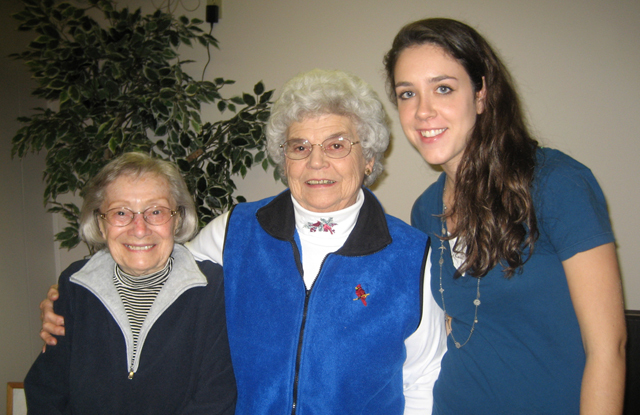 Me and my interviewees (and now friends), Agnes and Gloria, from the Ann Arbor Senior Center. Cute photo. :) Your blog is so sweet.